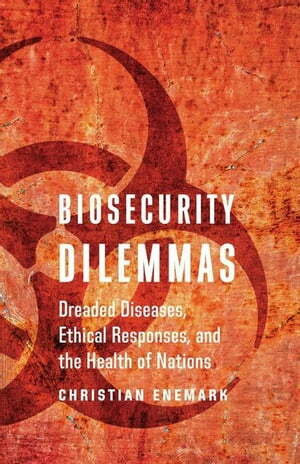 Collins Booksellers - Biosecurity Dilemmas: Dreaded Diseases, Ethical Responses, and the Health of Nations by Enemark, Christian, 9781626164055. Buy this book online. Biosecurity Dilemmas examines conflicting values and interests in the practice of "biosecurity," the safeguarding of populations against infectious diseases through security policies. Biosecurity encompasses both the natural occurrence of deadly disease outbreaks and the use of biological weapons. Christian Enemark focuses on six dreaded diseases that governments and international organizations give high priority for research, regulation, surveillance, and rapid response: pandemic influenza, drug-resistant tuberculosis, smallpox, Ebola, plague, and anthrax. The book is organized around four ethical dilemmas that arise when fear causes these diseases to be framed in terms of national or international security: protect or proliferate, secure or stifle, remedy or overkill, and attention or neglect. For instance, will prioritizing research into defending against a rare event such as a bioterrorist attack divert funds away from research into commonly occurring diseases? Or will securitizing a particular disease actually stifle research progress owing to security classification measures? Enemark provides a comprehensive analysis of the ethics of securitizing disease and explores ideas and policy recommendations about biological arms control, global health security, and public health ethics.